Basically, the “What came first, the chicken or the egg?” question for runners. Apparently, this guy is running the NYCM, too. The general school of thought is that you do your primary exercise before your secondary if you are doing them back-to-back like I often do. Theory: you don’t screw up your form by having tired, overworked muscles and you get a proper running workout (your primary goal) before you hit the weights. I tend to think there’s a better way to go about doing a double. Split your workouts into morning and night. I still recommend running first. 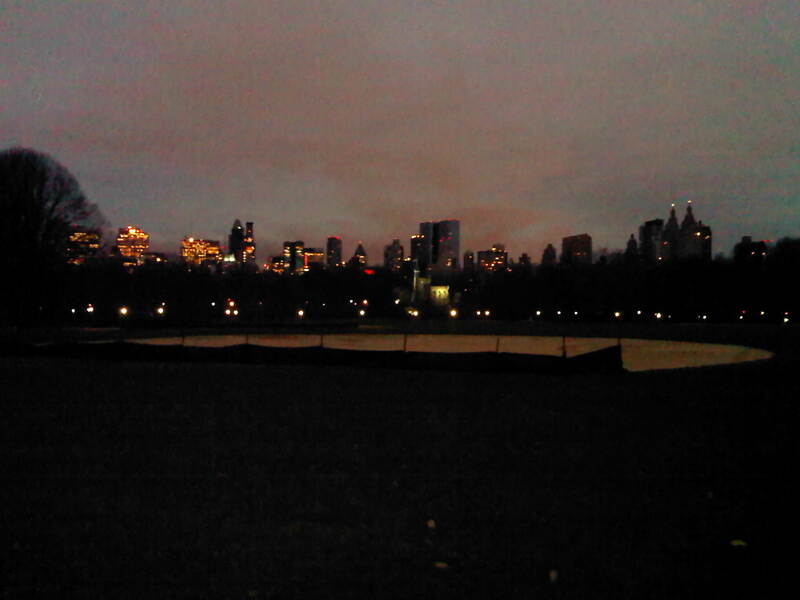 Dawn Patrol running in Central Park. My favorite time to run. Do your serious (heavy/hard) leg workout on a day that you don’t run at all. Leg workouts are serious business & need their own special day of the week. Lift on a cross-training cardio day, like one when you swim or spin for cardio training instead of running. Spinning = VO2 max training = faster runner. It’s science. 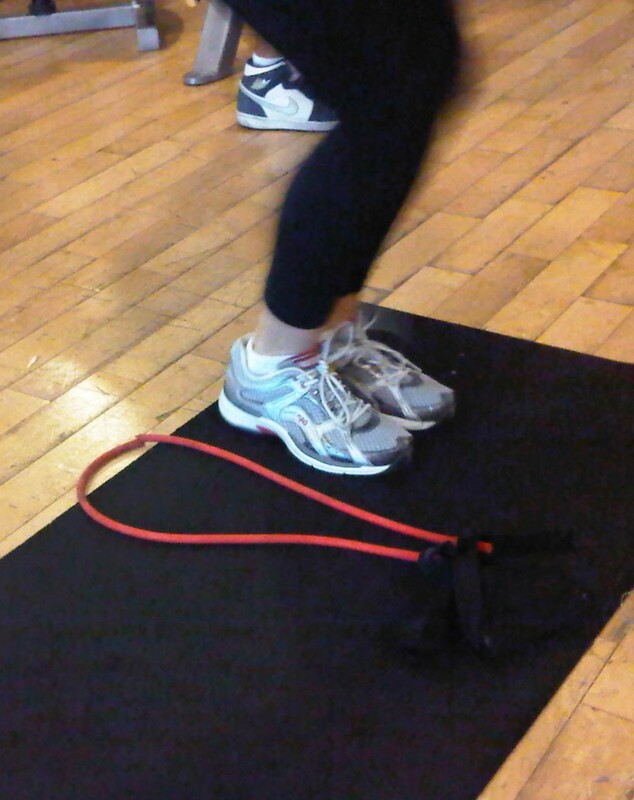 If you must do it back-to-back, do a dynamic leg workout following your run–plyometrics. That way, your muscle fibers are consistently doing one form of exercise. Running = jumping, so keep the same muscle fibers active in the gym & JUMP to avoid injury. Only do upper body lifting on a double day. Strong runners have strong upper bodies. Don’t ignore the other half! Overtraining is the main cause of injury in runners. Don’t be “that guy”! Rest, recover, spread out your workouts throughout the week. But whatever you do, be sure to get your strength training in so you can protect your joints and get to that start line! « Older Post Better Than the Alternative Tuesdays: R.E.S.P.E.C.T. » Newer Post Hurricane Sandy: DON’T PANIC!!!! Great post as always!!! Honestly never realized spinning worked on VO2 max…. 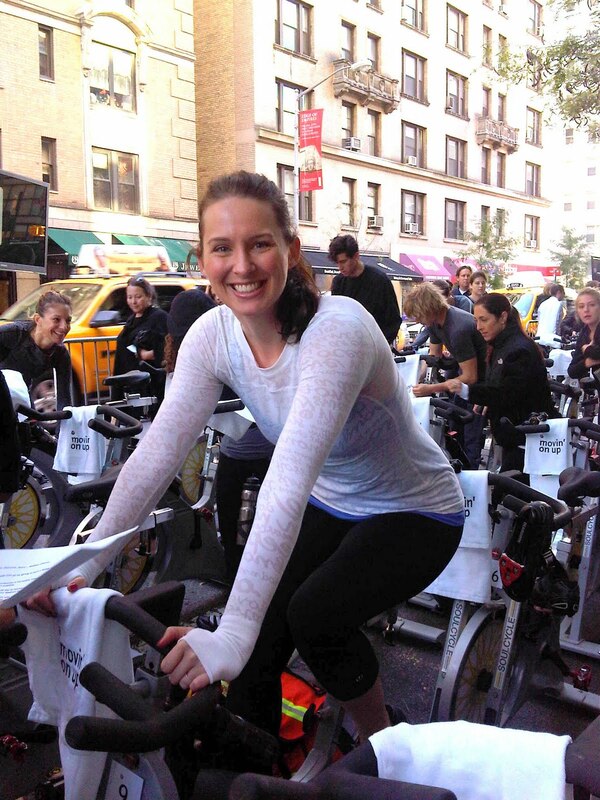 SoulCycle here I come!